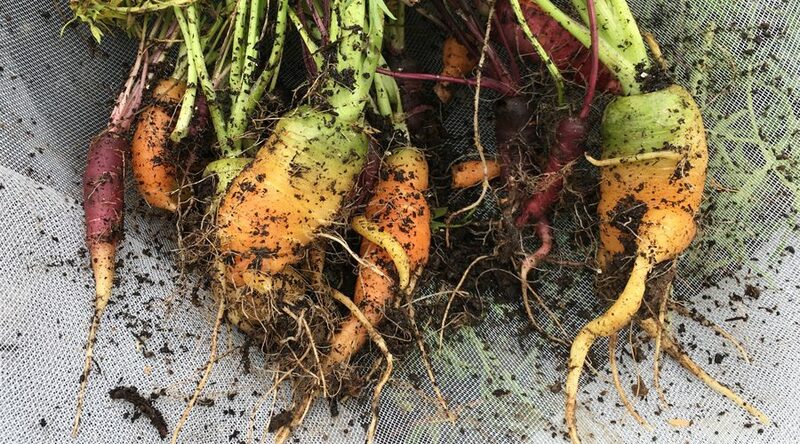 If you’ve harvested your carrots lately only to find that they look a bit, well, blobby and mangled, then the answer lies in better soil and better spacing. 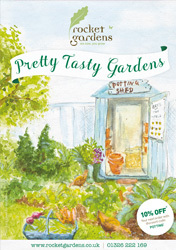 There’s still time to plant a few more to harvest in the autumn, but read this first so that you can get a more appealing looking crop. Carrots, being a root vegetable, will really benefit from well dug over, fine, sandy soil that allows them to put their root down without splitting and going off at a tangent. You can achieve this even if you have heavy, clay soil by simply digging a trench (20cm deep, 20cm wide) and filling it with a good quality fresh compost. Homemade compost is ideal. You can plant carrots fairly close together, around 15cm apart, but you do need to make sure that you thin them out first. You can do this by simply snipping off excess seedlings at the base when they arrive, using a pair of scissors. Or, if you can, you can tease them out by gently pulling them apart. Be aware that the latter is more likely to disturb the roots of the carrot you wish to keep though, so don’t force it if they don’t easily part. That’s it. Now, just keep them watered so that the soil is consistently moist (this should be a little easier over the next few months when autumn comes!) and cover them with mesh to prevent carrot root fly.